The Asking are an indie folk-pop vocal duo made up of the husband and wife team Greg and Kate House. The pair met while leading worship together at Hiawatha Youth Camp in Michigan’s upper peninsula and have been leading worship together ever since. Their passion for using music to point others to Christ led them to start writing music together as The Asking in 2014. They released their debut EP in 2015. After a successfully funded Kickstarter in March 2017 they released their first full-length album in June 2017 to critical acclaim. 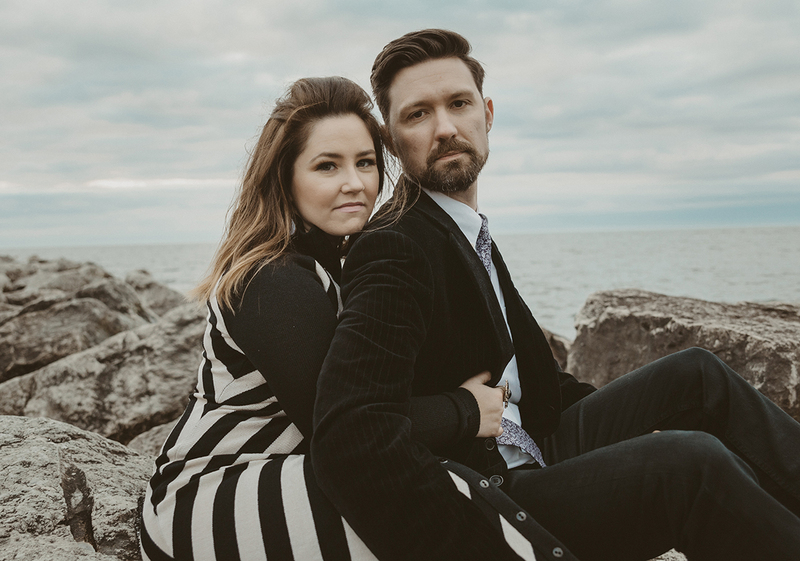 Drawing from the influences of The Civil Wars, James Taylor, and Josh Garrels, The Asking’s unique sound comes from their mix of scriptural lyrics and haunting harmonies. Kate’s background in studying and writing poetry led her to write lyrics. “I really wanted to make sure that they were scripturally sound and biblically based so a lot of the lyrics come from my own personal devotional time,” she says. Together, the duo take those lyrics and craft a theme for the melody and dynamics to help enhance the message. “It’s a partnership that brings about these songs,” Kate shares. “There’s something really wonderful about God using a song He’s given to you to touch other people,” Greg says.